Enjoy the beautiful warm weather and gentle ocean breezes from the deck of this third floor, newly remodeled, well maintained, beautifully decorated 2 bedroom villa at Fiddler's Cove. Each bedroom has its own private bath. The master bedroom features a queen-size bed whereas the second bedroom has two twin beds and a TV. The remainder of the condo consists of a full kitchen, dining room, living room with queen-size sleeper sofa, and a deck that adjoins the living room. One of the most beautiful beaches (Follyfield Beach) is within an easy five minute walk of the villa. A bike path, that connects with trails covering over half the island goes right by the entrance to Fiddler's Cove. Bikes are available for rent from many places on the island. Within the Fiddler's Cove complex itself, there are two pools (one with lap lanes), an outdoor hot tub, and 10 tennis courts. There is also an on-site Clubhouse with free Wi-Fi, table tennis, bean bag toss game & two racquetball courts. The larger pool is heated during March, April and October and is cooled during the summer months of June and July for the guest's comfort. Use of the tennis courts and racquetball courts is free!!! Fiddler's Cove has a reciprocal agreement with a nearby fitness center which Fiddler's Cove guests can also use for free. Nearby to the villa you can sign up for water sports or boat tours, fish, golf, shop, dine at fine restaurants, or just tour the island itself to enjoy the beautiful scenery and wildlife. You may even see a dolphin or two swimming close to shore. There are boat tours available to more easily locate the dolphin. Short day tours to the mainland to historic sites such as Savannah, Georgia are another alternative activity. There is something available for everyone to enjoy without being in an over-commercialized, over-crowded setting such as you may find at some of the other East Coast beaches. Feel free to contact us with any additional questions you may have. The rates vary according to the season and the rental periods can vary from a minimum of four days to a few months. Wall-mounted hair dryers in both baths. Both bathrooms completely remodeled within past five years. Five minute walk to the reach along secondary roads through residential community. No major roads to cross along the way. two swimming pools, hot tub, ten tennis courts, & swing sets. Clubhouse with Wi-Fi internet, indoor racquetball courts, ping pong, & bean bag toss. Fully equipped with dishes, pots & pans, and other cooking utensils. The dining room adjoins the living room. Flat screen TV in living room and also a wall-mounted TV in Bedroom 2. Kayak rentals and tours are available at local marinas. Bicycles are available for rent at various places on the island. Bike paths cover over half of the island. Boat tours are available at the marinas on Hilton Head Island. There is also a Ferry boat that goes to Savannah, GA. Ten tennis courts on site within the Fiddlers Cove complex. Two pools within the complex. Wall mounted hair dryers, Ironing Board & Iron Both bathrooms were completely remodeled. Had a great time! Condo was very comfortable and clean. Would have liked a tv in the master bedroom. The little extras like the soap and lotion was a nice touch. Thank you so much for letting us rent it. Thank you for taking the time to provide a review of our condo. We enjoyed having you family stay at our condo and very much appreciate your business! Please keep us in mind for future vacation rentals. We had a wonderful time. The beach was fantastic, with a short walk from the condo. It was amazing. The condo was nice and clean. With very comfortable beds. Like that the floors were wood instead of tile. When tile gets wet it is slick, and these didn’t get slick. The condo was very comfortably furnished. Washer and dryer were a nice addition. It was nice to have wine openers available, so that we could have a glass of wine to wind down with at night. The guards at the front gate were always there to let us in and we’re very friendly. The only problem I had was that it was on the 3rd floor, and I have a bad hip, so that was a little inconvenient, but maybe the exercise was good for me. Lots of great restaurants and shopping nearby at Harbor Town. Went on a dolphin cruise and a fishing trip. The Crazy Crab at Harbour Town is a must eat at restaurant. If you plan on taking much to the beach, you might want to bring a collapsible wagon to carry things to the beach. Also a ice chest since there is not anything available on the beach to buy drinks or concessions from. had great time, wish the weather would have been a little better but when we stayed it was cold all threw the south. lots to do within a short drive so when grandkids came down we had lots of adventures. thank you terry we had a great time. Thank you for your stay David, we strive to keep our condo up-to-date and clean in order to provide an enjoyable experience for our guests. As you mentioned, families do have a lot of things to keep them busy on Hilton Head Island and in surrounding areas. Please keep us in mind for possible future vacation rentals. A grand time for relaxation at the end of my road trip. The apartment was very well equipped and appointed, very clean and had clear instructions. The beach at five minutes walk was perfect for observing the sun rise and for jogging early in the morning. Easy drive to main HH supermarkets and restaurants. Altogether a lovely package that suited us perfectly. Thank you very much for selecting our condo for your vacation and for your time in completing a review of our unit. We are very pleased that you had an enjoyable and relaxing experience during your stay. Please keep us in mind for possible future vacation plans. First off I'd like to say the best part of my first VRBO experience was dealing with the owner. He was responsive, informative and 100% accurate in description, location and condition of unit. With that said, the unit is in fantastic shape, everything works as it should, furnishings are recent updated and a nice beach theme. Linens towels and cleaning service before our stay was fantastic, and that was ULTRA important to me as my wifes definition of clean and mine are somewhat different as is sometimes the case. She smiled widely when we entered the unit and I was assured of a good start to a seven day lockdown with her (lol) . Unit is close to the beach a legitimate 5 minute walk or 2 minute bike through nice beachfront neighborhood. Walking over at 9pm was not threatening in the least. Hilton Head itself is a beautiful area and we had always stayed at the 4 star resorts, but we were planning on sharing with friends who unfortunately couldn't make it so we went this route. Certainly glad we did. We will surely rent this unit again if it's available! Great value, location and comfortable and secure rental. We are very pleased that you enjoyed vacationing at our condo and thank you so much for the excellent review that you provided! Our goal is to provide quality accommodations at a reasonable price. Thanks again for your kind remarks and we look forward to your return in the future. This place was awesome, we enjoyed all the amenities Fiddlers Cove could offer. The beach was within 5 minutes from the community. There were many great restaurants all over the Island. I would recommend renting this villa, I plan on renting again sometime soon. Thank you very much for taking the time to provide a review of our condo.. Reviews provided by families, such as yours, help us ensure we are providing our guests with an enjoyable experience and they also help others in selecting a property to match their vacation needs. 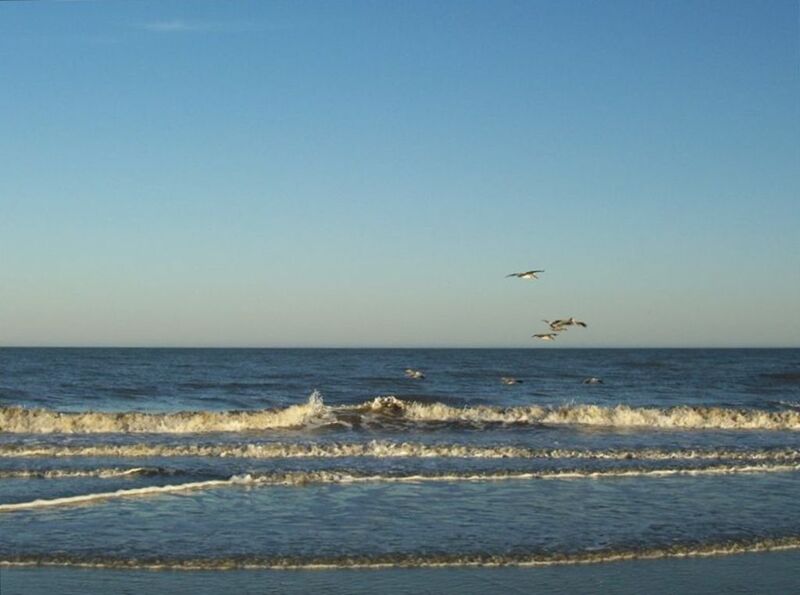 We are very pleased that you had a great vacation at Hilton Head Island. Please keep us in mind for future vacations. The weekly & daily rental rates shown already include cleaning & taxes. The unit is clean when the guest arrives and is cleaned again after the guest checks out. Rental weeks go from Saturday to Saturday. Time periods that cross between two weeks may not be accepted if the duration of the rental is less than two weeks. The rental rate for May 2018 is $1,725. The monthly rates include taxes but there is a $130 one time cleaning fee for monthly rentals. Multiple month rentals also involve a $40/month linen charge for each month beyond first month.